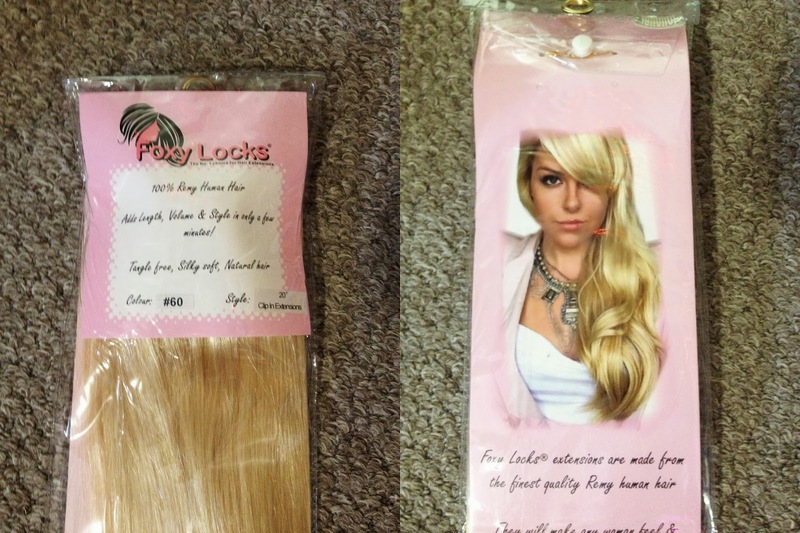 Hey guys, So my Foxy Locks Extensions came the other day! So I'll just start from the beginning I guess! 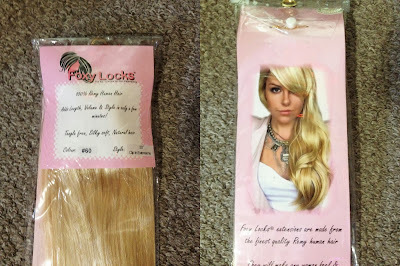 So I had seen lots of people who really loved these extensions and I had been looking for some since I had been using really old ones that were really badly fried and just not good. I decided I wanted to get some of these and choosing the colour was easy since I am dyeing them purple anyways to match my lavender hair (Which I will have a blog up about later on!). 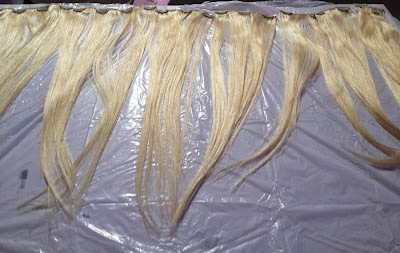 of what I already paid for the extensions. I knew there would be customs but usually they're not that expensive so I was very alarmed by that and luckily I had the cash on me at the time! WATCH OUT FOR CUSTOMS. I'm usually really good with that but I just wasn't thinking. Now onto the actual extensions! They're extremely soft and they're so beautiful I almost wanted to keep them blonde and go blonde myself, I still am tempted to in the future! 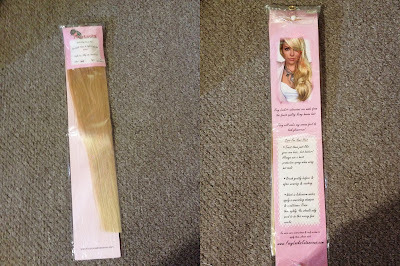 The extensions came in a long sleeve that was folded in half to fit into the package. 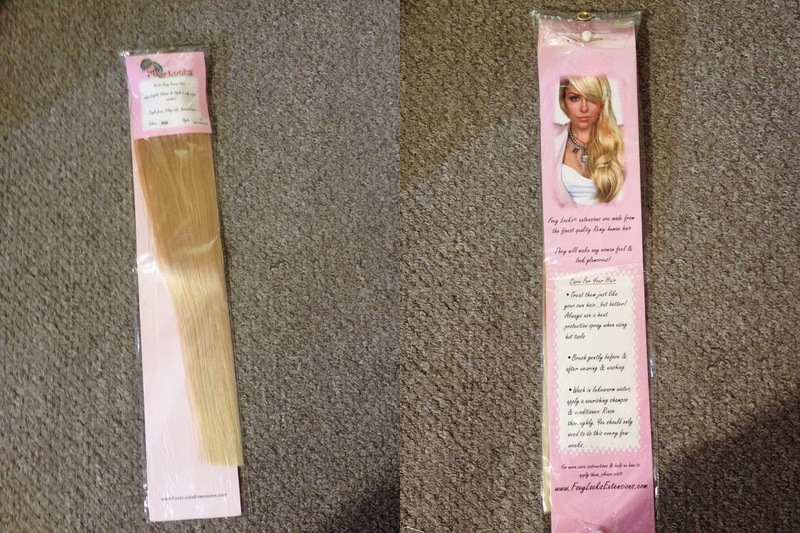 They have the information on the front and the lovely lady who owns the company on the back! So a lot of hair! Which is also why I didn't want to get any thicker hair because I also have a small head so this is a task to fit on a bit! I don't have a picture with them in because I have purple hair so that would look silly. They're currently in the process of dyeing right now though so expect a blog soon! So far I would give Foxy Locks a 9/10, the customs was terrible but that's not their fault, the only thing I think they should work on is bigger clips because those are the smallest I've had yet! 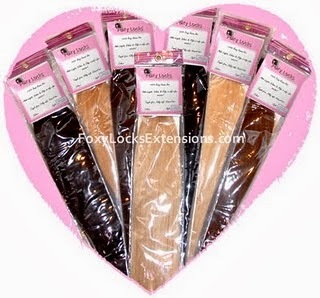 I don't think it's a problem for the 125g hair but I think it might be with the thicker ones which in the reviews I've seen has been a problem for the volumizing weft that comes in the 215g Superior set!